We want to share GrowHaus with you. 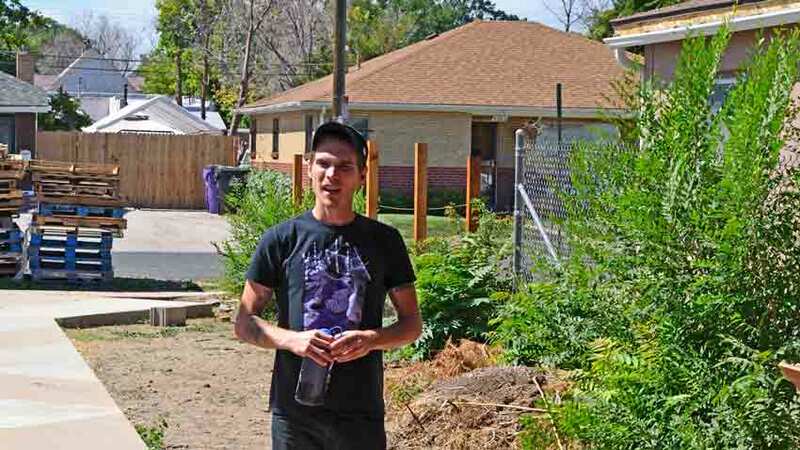 During recent travels, we toured this amazing micro-farm in the northeast section of Denver, CO. Starting with an old flower greenhouse in an isolated immigrant neighborhood, this is now a model of innovative urban farming. 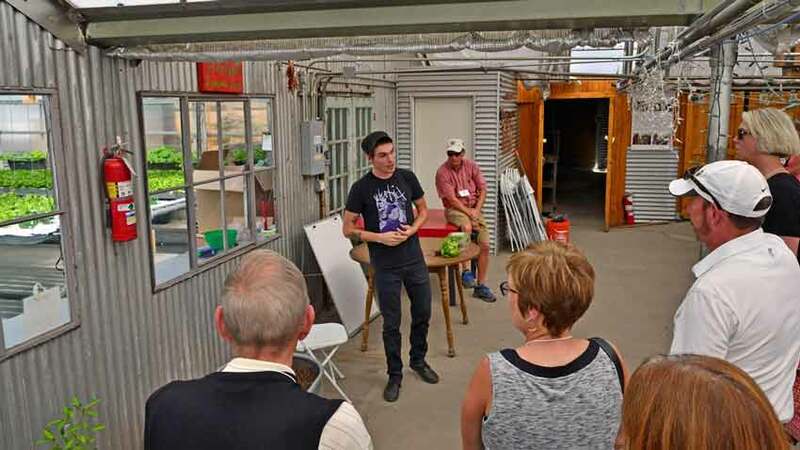 GrowHaus is a non-profit indoor farm, marketplace and educational center in north Denver, CO. The neighborhood of Elyria-Swansea is a historically working class immigrant community. It is surrounded by industrial manufacturing and transportation industries. As a result the neighborhood is listed as the most polluted ZIP code in Colorado. The Elyria-Swansea neighborhood has been a first home for recent immigrants since the 1880s. It has always had one of the lowest household incomes in the city with low education and employment levels. The area has endured a lack of access to healthy and affordable food with high rates of diet-related illnesses. This is due to their isolation within the industrial manufacturing and heavy industry areas. GrowHaus developed out of an old flower greenhouse. 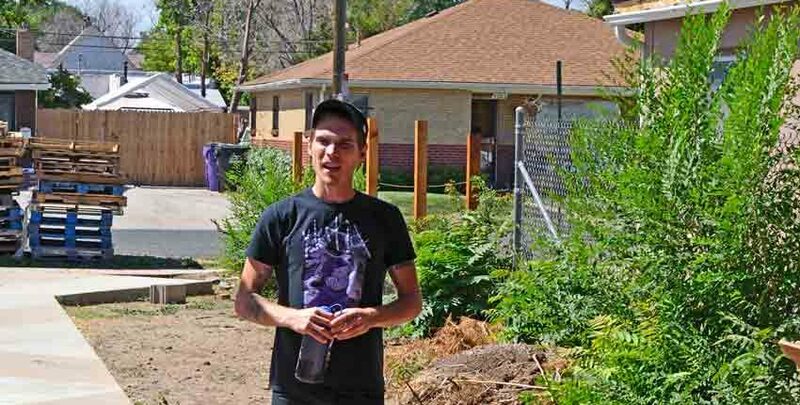 It incorporates several methods of growing food for local residents and restaurants in Denver. We saw this is still a very busy industrial area with a large roofing and asphalt company and 4 lines of railroad tracks across the street. 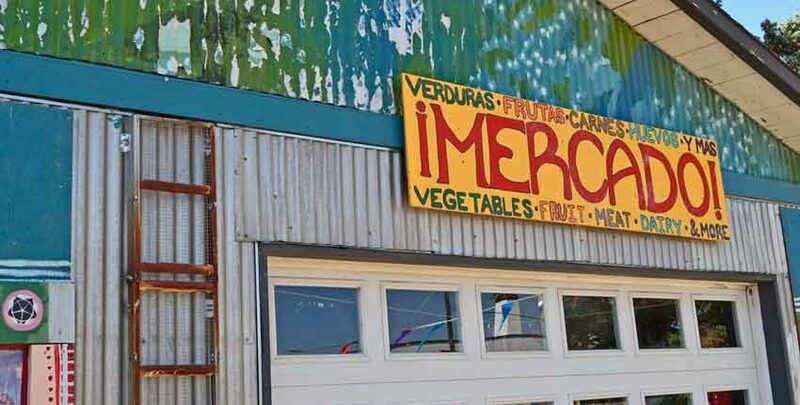 The large hand-painted “Mercado” sign above a roll-up garage door indicated something unusual. 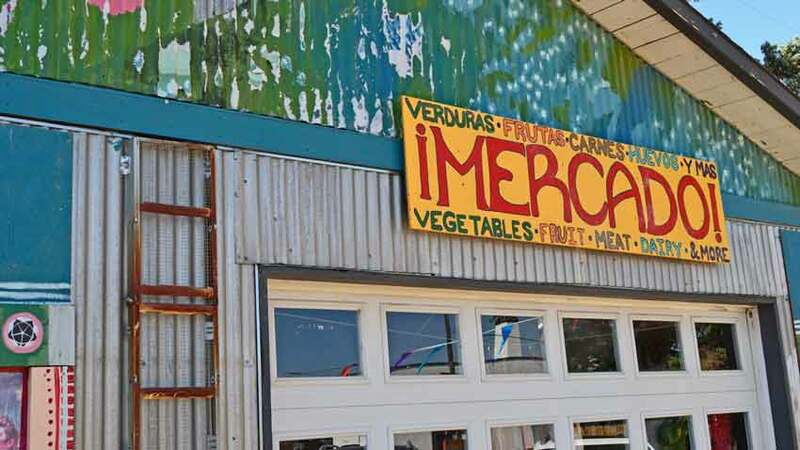 The sign shows that vegetables, fruit, meat, dairy and more are available inside. Spanish and English are the predominant languages spoken here now, but historically this area has been a settling place for many different nationalities. The map shows just how crowded things are. A major rail line with multiple tracks is less than 50 feet from the front door. A large roofing and asphalt company are across the street to the east. The modest sized homes are clear, with the line of older single wide mobile homes just to the right in the photo. Just outside of the photo to the bottom is I-70, with its update and expansion just beginning. 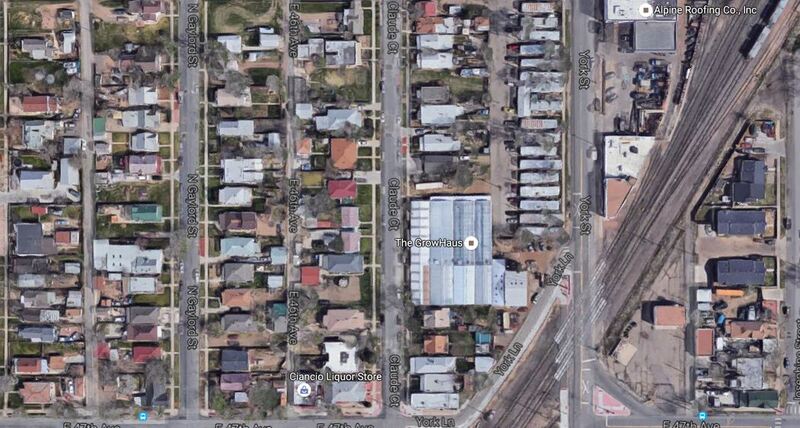 Much of the neighborhood to the south of the GrowHaus will be lost to the expansion and re-alignment. When completed, I-70 will come within a couple hundred feet of the greenhouse. Two new light rail lines will be built in the next 10 years, cutting through the neighborhood. Click to expand the close-up photo of the greenhouse and see just how tightly packed in the GrowHaus is. The amount of food, education and community improvement that happens in this space is nothing short of amazing! Our tour guide was an employee who is also a local resident. 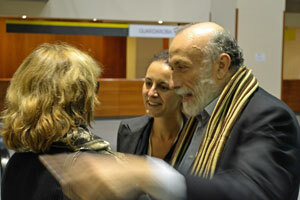 His insights and comments were very beneficial, having grown up in the neighborhood. The food grown in the greenhouse is a world better than the boxed and fast foods he grew up eating! 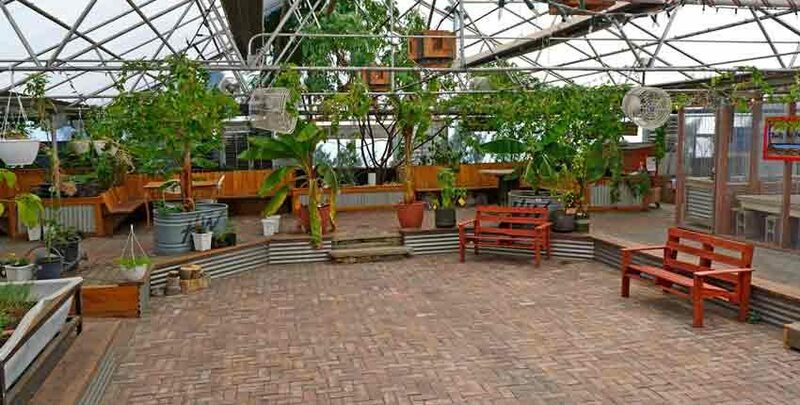 There is both a hydroponics and aquaponics operation in the greenhouse. By partnering with local residents to grow food, provide jobs and education, everyone lives better. Residents gain a valuable skill while earning money growing food they share with their families. 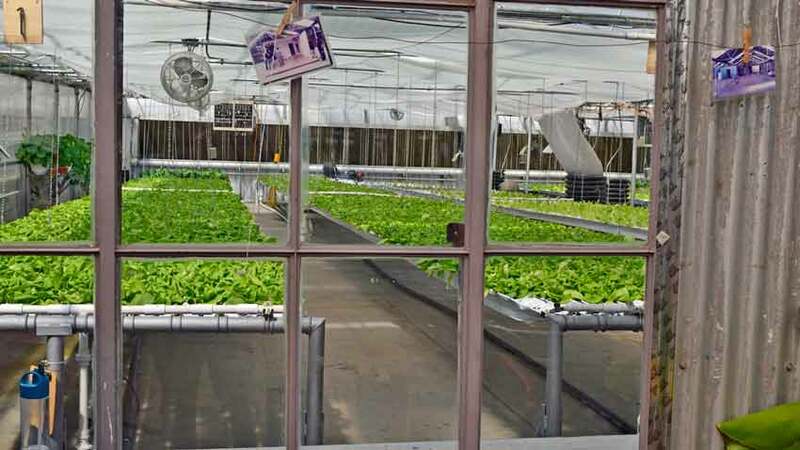 The hydroponics operation is 5,000 square feet and grows leafy greens. The customers are residents and local markets and restaurants throughout Denver. They grow about 1,200 heads of leafy greens per week using 90% less water than conventional farming. The aquaponics side is 3,200 square feet, growing more leafy greens. A commercial mushroom farm produces fresh specialty mushrooms year round for local use, restaurants and markets. There is also a seedling starting nursery that’s just getting started. The nursery provides seedlings and young plant starts to area gardeners. 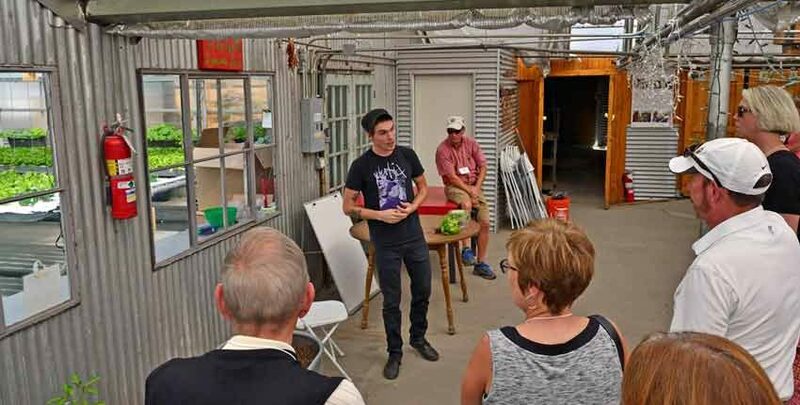 GrowHaus is a vibrant and essential part of both the local and extended community in Denver. Our tour guide explains the growing, marketing and distribution of the butter lettuce from the hydroponics farm. Local residents who qualify buy food at cost with a sliding scale for other customers. 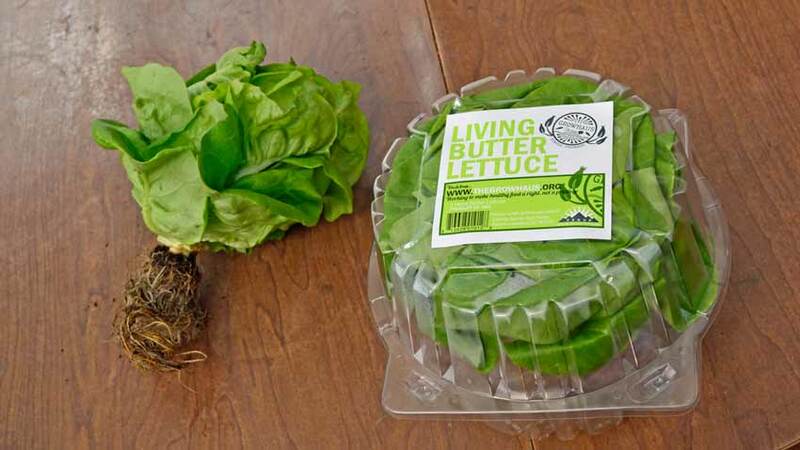 A closer look at the butter lettuce and packaging. 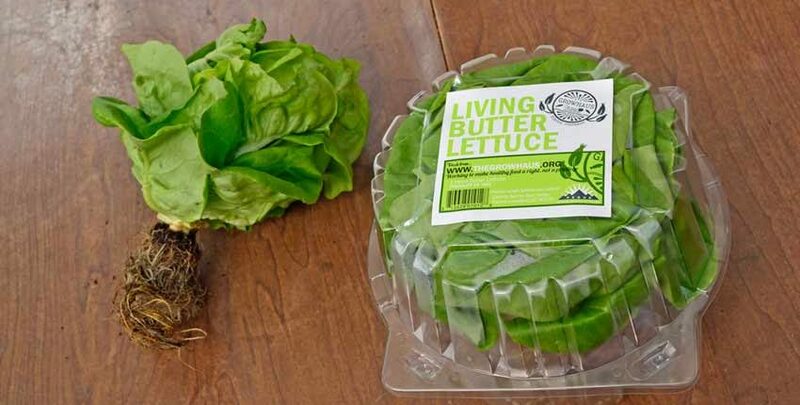 It is marketed as “living” lettuce because the roots are still attached. It stays fresher longer than conventionally grown lettuce that is cut from its roots when harvested. 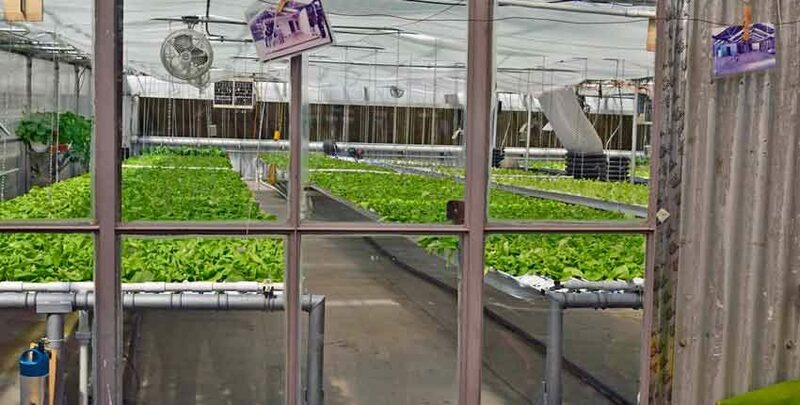 This brings a premium price from restaurants and markets in Denver, increasing the earnings of the hydroponics farm. 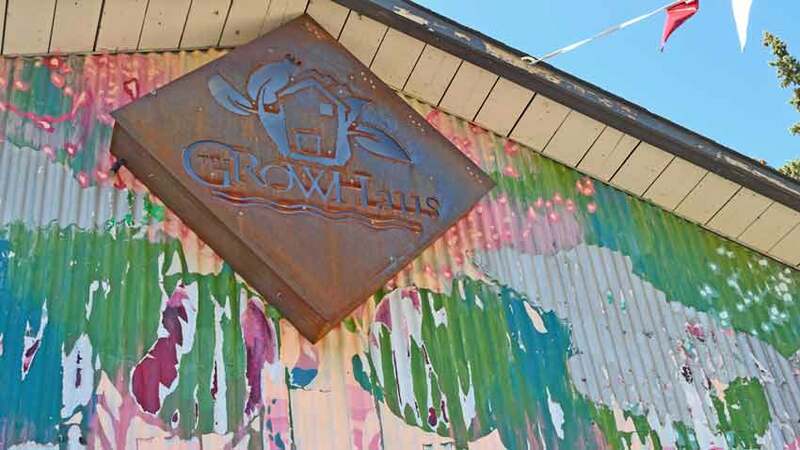 GrowHaus works to overcome this through three food distribution programs. They are food boxes, the GrowHaus market and Cosechando Salud, a free food pantry and cooking class. Food boxes are like a traditional CSA with food from GrowHaus and partner organizations. They have fresh fruits, vegetables and other items. The program is open to anyone in the greater Denver area. 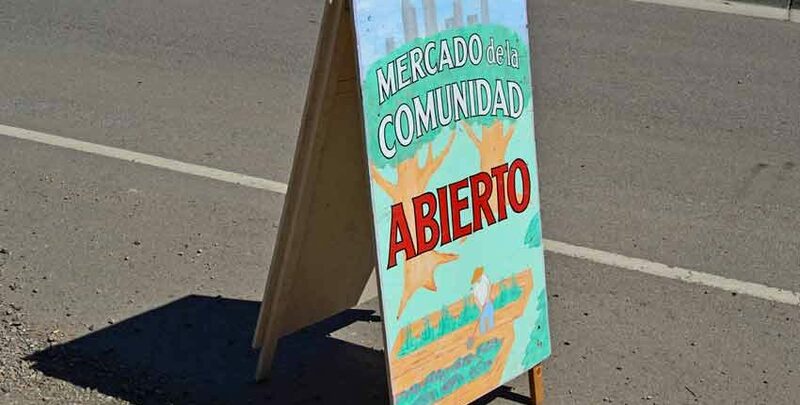 The Mercado de al Lado is the neighborhood market, offering fresh produce, meat and dairy products year round. The pricing is unique, using a tiered pricing system so that everyone has the maximum access to the healthiest foods possible. Those that qualify can buy food at cost or a small percentage above the production cost. This gives greater access to healthy and fresh food to those who really need it. Those who can afford to pay slightly below retail up to full retail prices, bringing profits to the program and keeping it running. 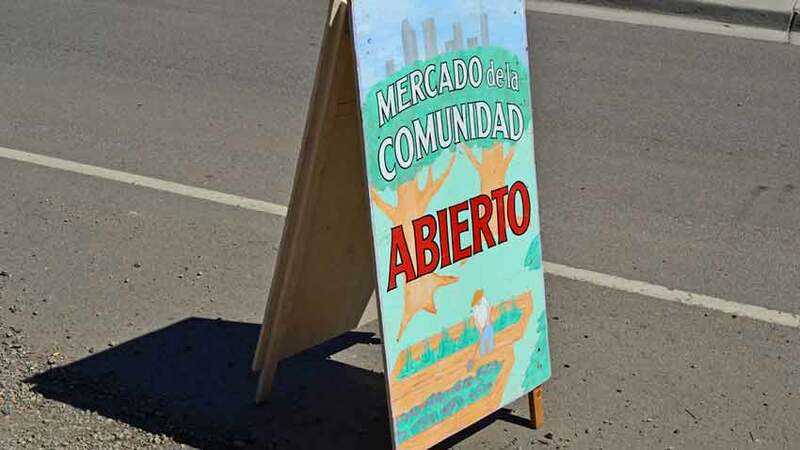 The Cosechando Salud is a free food pantry and cooking class. 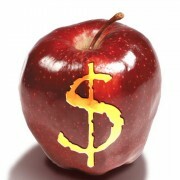 It is supported by the profits of the distribution programs. It teaches cooking essentials while providing healthy food that was not sold at the markets, avoiding excess food waste. 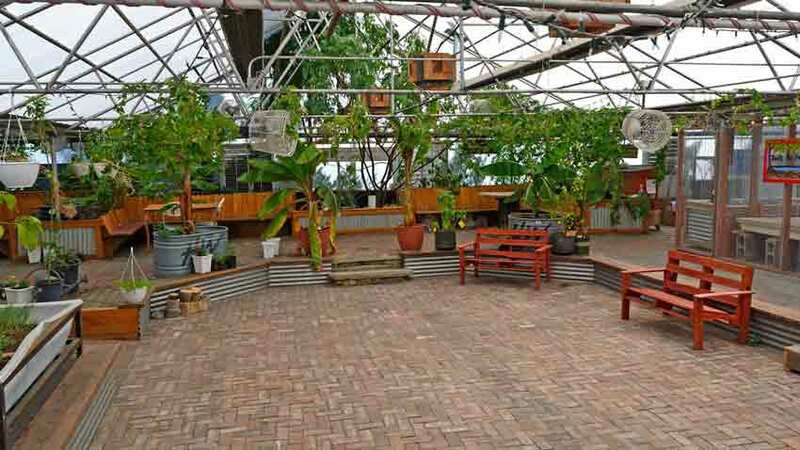 The class space and common area are a permaculture design. It is a self-regulating edible ecosystem with figs, bananas and papayas. There are composting systems with worms, along with rabbits and chickens. Growing bananas and papayas at a mile high in Denver’s climate is pretty impressive! It is inspiring seeing the scope of the operations at GrowHaus, along with the number of programs and organizations they partner with. 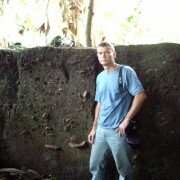 A small group of dedicated individuals have accomplished much with a challenging environment in an isolated neighborhood. 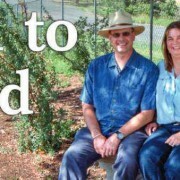 They have created a working, local, sustainable healthy food system which lives up to its mission. In doing so, they have also created a model of how inclusive participation and open cooperation with other like-minded organizations can expand the positive impact. We left with the realization that one person can make a difference, even if it is in one other person’s life. That difference, and the results, are worth it! 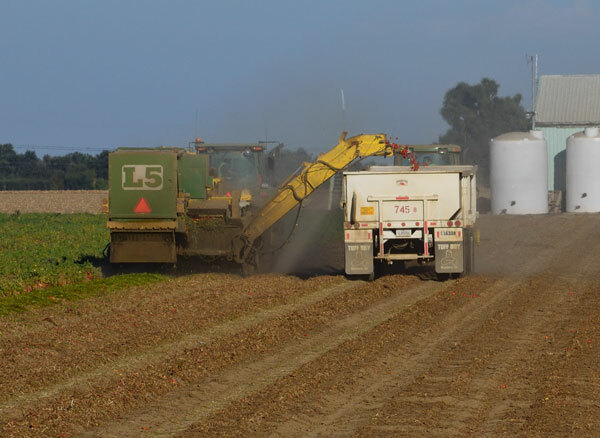 Are We At The Peak of Industrial Agriculture? Thanks for the info on this fantastic farm! I love everything they’re doing! You are welcome Brittany! Glad you enjoyed it, they are a great group.